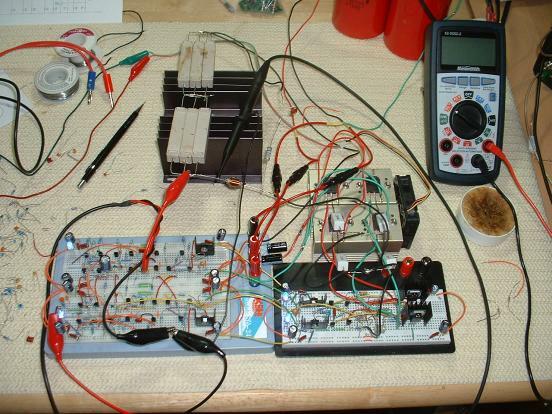 The EC OPS on the breadboard. 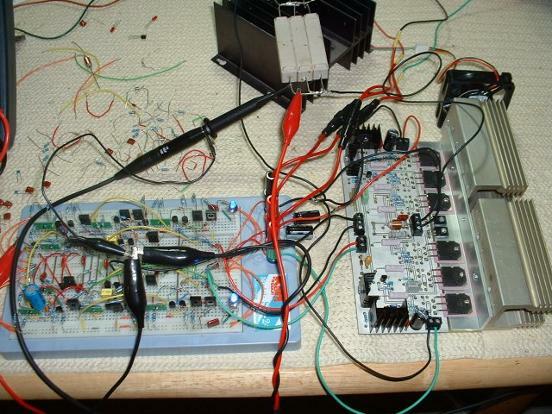 The frontend breadboard is Bob Cordell’s design from here. Early stages—The Frontend on the breadboard. The EC OPS PCB is already finalized, with fan cooled heatsinks (for testing purposes only).